Croeso! Richard Hughes, Heddwyn Davies and Lewis Richards are the owners of Evans & Hughes. Here at Evans & Hughes we have a long history. Many things have changed since Selwyn Evans first opened in Llandovery in 1949, but one thing has remained the same for almost 70 years now, and that’s our dedication to our patients. Today, we continue to deliver what we feel is an unrivalled level of patient care. We have about 20 members of staff across our 4 practices, and each of them is committed to going above and beyond what is expected of them – from delivering glasses to house-bound patients on their way home, to obtaining further qualifications so we can offer additional services. At Evans & Hughes you can look forward to a warm welcome in a relaxed environment, no matter which of our practices you visit. Our team will always be on hand to answer any questions you may have, listen to your requirements and only ever recommend products that would be of genuine benefit to you. 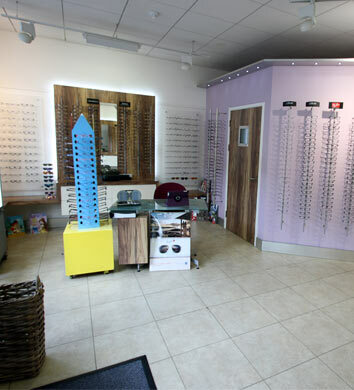 So please don’t hesitate to get in touch if you’re looking for a team of friendly, professional eye experts to care for your family’s vision.